Setting up your electricity service in Ohio can be pretty confusing, especially if you're not too sure how the system works. After all, some service areas in the state are deregulated, while others are not; and while some institutions must comply with state rules, others are exempt. To make it even more annoying, the map of Ohio's service areas looks like it was in a paintball battle. Ultimately, obtaining the right information about your electricity service options not only makes you a savvy electricity customer, it can also save your family a bit of money. Below is a list of organizations that directly affect your electricity service in deregulated Ohio service areas. We've also included resources that can help you learn more about your service options. Ohio's electricity service is organized into two main branches. 1) The Public Utilities Commission of Ohio (PUCO). PUCO oversees the utilities and retailers in Ohio's deregulated electricity market. They set rules for the electric distribution companies (the EDC's, also known as the old incumbent utilities) to transmit and distribute electricity to ALL of Ohio's energy customers fairly. PUCO also approves these utilities' Standard Service Offer (SSO) for customers who do not actively choose a retail electricity supplier. PUCO also helps organize and oversee utility auctions that determine retail generation service rates in that utility's service zone. 2) The Rural Electric Cooperatives (RECs). Ohio's Rural Electric Cooperatives are generally referred to as "unregulated utilities" because PUCO does not govern them. So with a few exceptions, state statutes and rules governing utilities do not apply to these companies. There are 25 RECs serving rural residents across the state of Ohio. To learn which electricity service is available in your area, check this interactive map that identifies REC and deregulated service zones, as well as the utility acting as the electric distribution company. Even though these utilities were required to sell off the generation and retail portion of their businesses, they are still required to distribute electricity to every customer in their service area, no matter who the Certified Retail Electric Suppliers (CRES) is. These utilities are also responsible for providing SSO's to consumers in their area that do not have (or have not chosen) a retail electricity supplier. The SSO can either be an Electric Security Plan (ESP) in the form of a traditional rate plan or a market rate offer (MRO) that relies on a market-based pricing system. To maintain fairness to consumers, PUCO evaluates and approves each utility's SSO. All customers, even those who use the local utility as their retail electricity supplier, must pay a distribution cost added onto their monthly bill. In the case where counties, townships, villages, and cities are permitted to set up aggregation supply agreements, residents still have the power to choose NOT to participate in the aggregation plan. Customers must file the "Electric Do Not Aggregate List" form with PUCO. When choosing a certified retail electricity supplier in Ohio, remember to keep in mind an estimation of your monthly usage. You can do this by reviewing a few past billing statements for the past year. Consider, too, whether the CRES offers plans that work with your family's lifestyle as well as the length of time you plan to remain in your current residence. 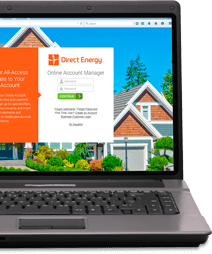 The place to compare residential plan offers is PUCO's Apples to Apples Energy Choice website. PUCO also has a handy worksheet you can use for comparing different offers from certified retail electricity suppliers. You can also find consumer service numbers, complaint procedures, tips on how to save water and energy, and other useful information about electricity choice in Ohio.